Both pointing devices rely on fine motor control, and she fumbles with the trackpad until the situation becomes embarrassing and the person next to her assists. The situation could be avoided with a mouse. 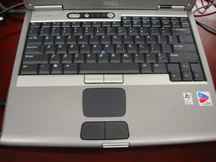 The Dell approach amuses me a bit, inserting two different input devices that rely on such similar motor control, it seems like a desperate attempt to satisfy users who don't like one or the other. An alternative is to acknowledge the mouse is the king of the pointing device world and include one with, or in, the laptop. Imagine doing away with the trackpad or the TrackPoint, moving the internals (e.g. 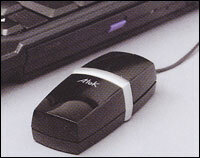 CD/DVD drive) over a bit, and using the newly found space to insert a wireless, optical mouse the size of the Atek inside the body of the laptop. 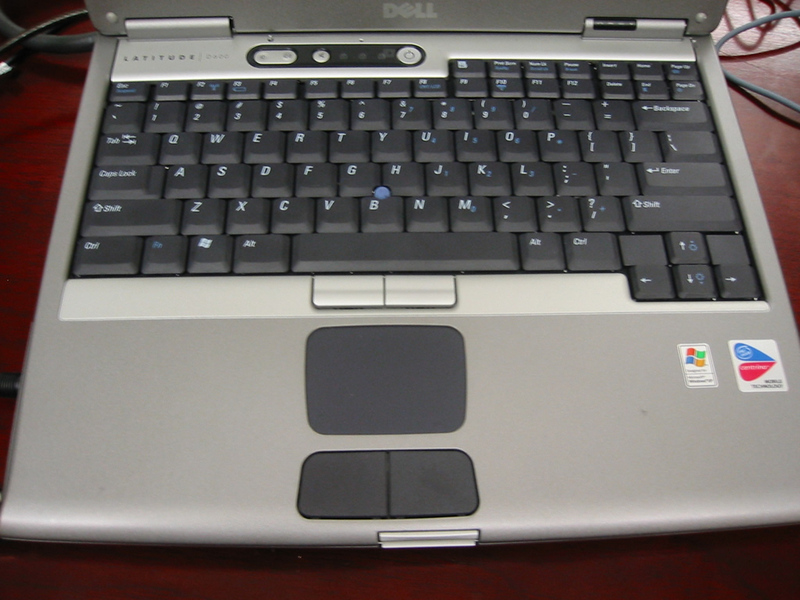 A button on top (providing a perceivable affordance for newer users) gently pops the mouse most of the way out the side of the case, where a thumb and forefinger can pull it out. I call it a Joey -- the name for a baby kangaroo -- for its marsupial behavior.